Dr. Peter B. Morgan always appreciates feedback from his valued patients. To date, we’re thrilled to have collected 7 reviews with an average rating of 5 out of 5 stars. Please read what others are saying about Dr. Peter Morgan below, and as always, we would love to collect your feedback. I first went to Dr Morgan due to swelling in both legs. He treated that problem successfully and also discovered I had a bone spur that was protruding into my tendon. Dr Morgan found and fixed that. I am no longer in pain and can walk without hobbling around. Very pleased with Dr Morgan and his staff. Skilled professionals with personal touch ! Every staff member was attentive and focused . I will be returning to the care of Dr Peter Morgan and his staff . Excellent work by both Dr. Morgan and his staff. Really took the time to do a proper evaluation before recommending treatment. Dr. Morgan was notified by my Dr. that I may have an issue. MRI revealed a potential problem. I was scheduled for travel and Dr. Morgan was more than accommodating in getting me in the office for testing. He set my mind at ease while addressing my underlying problem and assured me that he can correct my problem. Thank you Dr. Morgan. 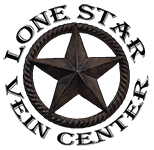 I highly recommend this Dr. to anyone seeking help with vein issues. Staff great, spent time with me answered all my questions. I was very satisfied with my visit. Dr. Morgan and his staff were very professional. Dr. Morgan spent a great deal of time with me discussing my varicose veins in addition to other health issues that I am experiencing. Received very valuable information.